Belgium sculptor, Pol Bury, created this beautiful Kinetic Mirror Ball Sculptural Fountain located at the Palais Royal…actually he created two of these fountains for the Royal Palace. 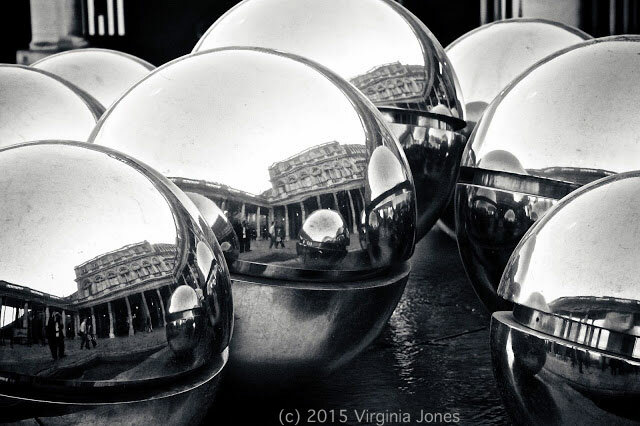 American photographer, Virginia Jones, captured this delightful image of “Les Boules” in all their reflective glory. For a little perspective, I present to you this image I found on passeiosemparis.blogspot.com. The matching fountain is further to the right, outside of the photo view. On my first trip to Paris, I missed visiting the Palais Royal and had yet to discover my love of mandalas and mandala-like shapes. 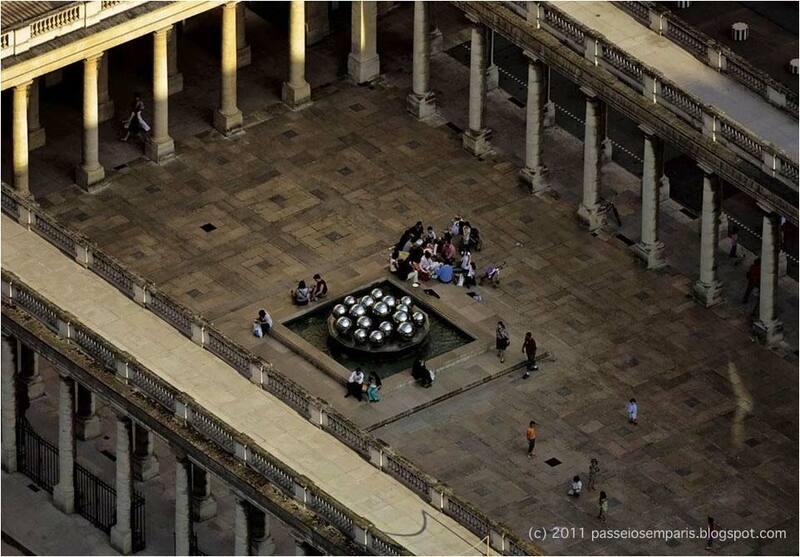 On my next trip, I plan to visit with a whole new perspective…including a stop at the Palais Royal. Where would you re-visit now that you know what you know?